CHICAGO (Sporting Alert) — LeBron James and the Cleveland Cavaliers seek an immediate response against the Chicago Bulls in their NBA contest at United Center on Friday night. This early Eastern Conference battle will be shown live on ESPN and WatchESPN application, starting at 8pm ET. “I didn’t do much,” James said, after the Cavs fell to a 95-90 defeat at the hands of the New York Knicks at Quicken Loans Arena Thursday night. The result ruined James’ “special night” on his return to the club, following his four-year stint with the Miami Heat, and the two-time NBA champion is hoping for a rebound on the road. However, James and the Cavs will face a Chicago Bulls (1-0) side that easily knocked off the Knicks 104-80 in their opener, with Derrick Rose, who had a quiet return to action after missing most of the last two seasons because of injuries, ready hand them another early setback. But Rose won’t be the only one the Cleveland has to worry about with the likes of Pau Gasol, Nikola Mirotic, Doug McDermott and Taj Gibson among the others capable of doing some damage as well. “I think it’s a lot of pressure off (Rose’s) shoulders because we have, I think, a variety of weapons, so he doesn’t have that pressure on himself to be able to score and force things,” said Gasol, who had a double-double of 21 points and 11 rebounds in the season opener win over New York. Kevin Love and Kyrie Irving are again the starting team for the Cleveland Cavaliers, who on Friday, signed center Anderson Varejao to a multi-year extension deal in the area of $30 million over three years. 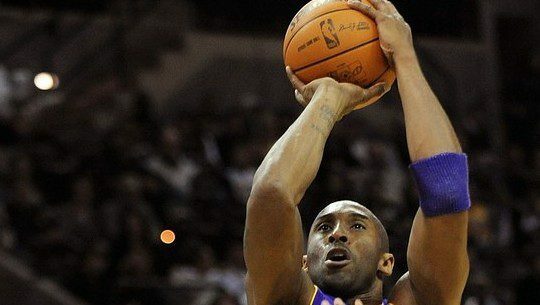 Also in action on Friday are the Los Angeles Clippers and the Los Angles Lakers, who face each other at STAPLES Center. The Clippers battled to a 93-90 victory over an injured-hit Oklahoma City Thunder side on Thursday night, while Kobe Bryant and the Lakers (0-2) were dropping back-to-back games, following their 119-99 defeat to the Phoenix Suns. Westgate Las Vegas Superbook favoring the Los Angeles Clippers to beat the LA Lakers by 12 points on Friday night. The last time these two teams met on Apr. 6, the Doc Rivers’ team ran away with a 120-97 victory. Last season the Lakers beat the Clippers 116-103 in their first meeting, but dropped the series 3-1. Also in action on Friday: Memphis Grizzlies at Indiana Pacers, Portland Trail Blazers at Sacramento Kings, San Antonio Spurs at Phoenix Suns and the Philadelphia 76ers at Milwaukee Bucks.